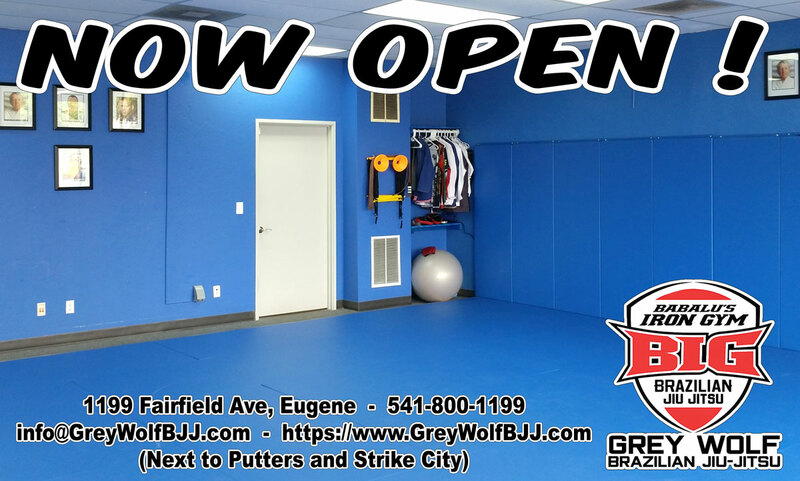 Brazilian Jiu-Jitsu Martial Arts in Eugene is Now Open! Had a great FIRST CLASS this morning and looking forward to the Kid’s and Evening Class later today. Would like to thank Professor Renato “Babalu” Sobral, Professor Ricky Gonzalez, Natasha Borges, and my entire family at Babalu’s Iron Gym – Cerritos for all the support, encouragement and guidance. I’m proud to continue my Brazilian Jiu-Jitsu journey with Professor Babalu’s BIG Patch on my back. Would also like to thank my friend Randy for helping me here in Eugene with the construction and setup of our beautiful facility. I couldn’t have done it without him.